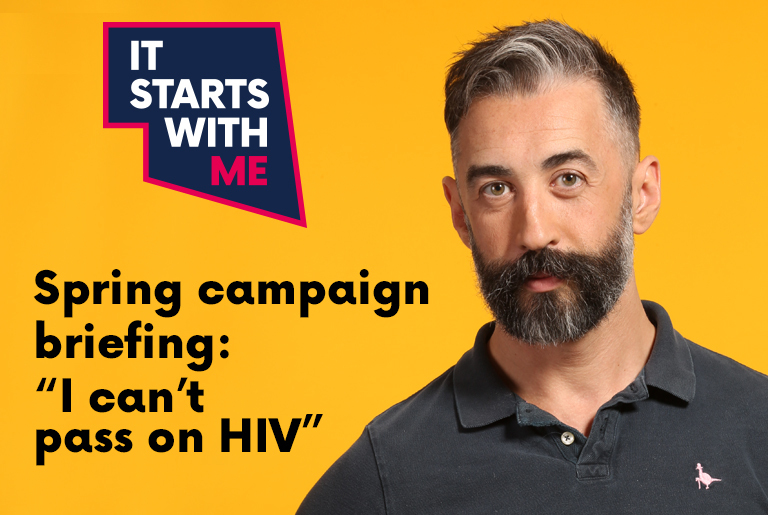 The summer phase of the It Starts With Me campaign will start on Monday 18 June 2018. 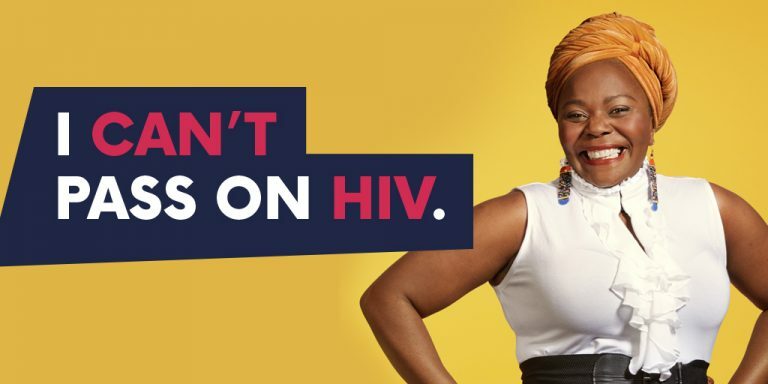 The focus of the summer campaign phase will be on raising awareness and promoting actions to take on the various ways to prevent HIV: testing, condoms, pre-exposure prophylaxis (PrEP) and treatment. encourage individuals to find the right options for themselves. 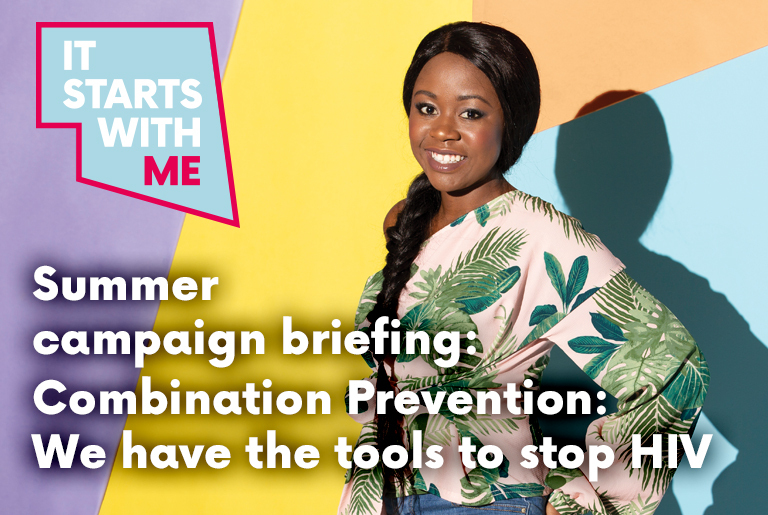 If you would like to know more about this phase of the campaign please have a look at our Summer Campaign Briefing [PDF]. A summary of the campaign activities. What support we can provide to you to amplify the campaign in your area. What combination prevention is and why it’s important. We have created a number of new resources for the campaign including posters and leaflets. The look and feel of the campaign is bright, fun and summery. 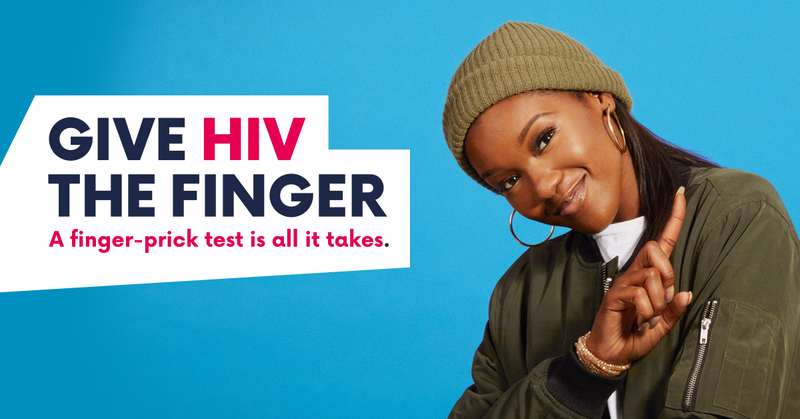 The resources feature individuals who are playing their part in stopping HIV by using the different prevention methods. Coming soon: We will also be providing a social media pack with images, video and suggested social media posts to help you promote the summer campaign.